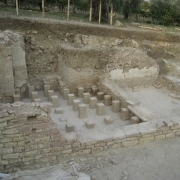 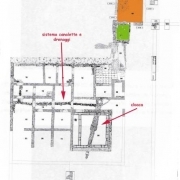 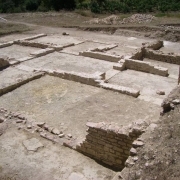 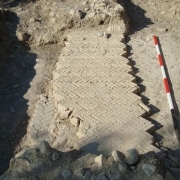 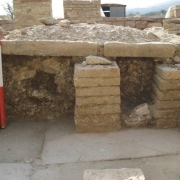 The proximity to the Flaminia and the material so far returned from archaeological surveys suggest a large structure made up of several pavilions, of which the main and most important may have its own entrance near the consular road. 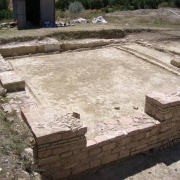 The structure was built in a scenic and strategic location, halfway between the ancient town of Vicus ad Martis (Massa Martana) and Mevania (Bevagna). 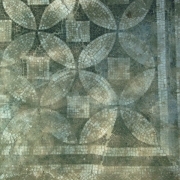 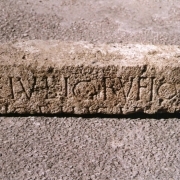 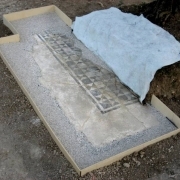 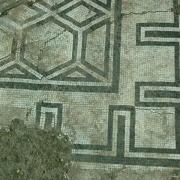 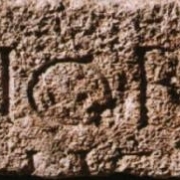 The villa has been attributed, thanks to the discovery of an inscription preserved in the antiquarium of Montecchio, to Gaius Julius Rufione, the son of a “liberto” of Caesar. 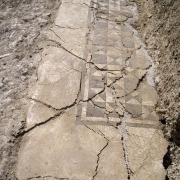 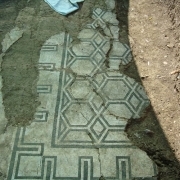 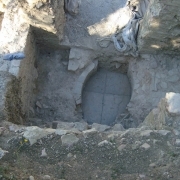 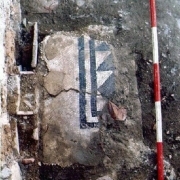 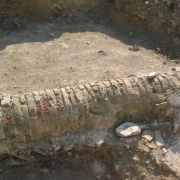 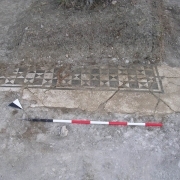 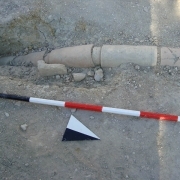 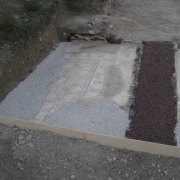 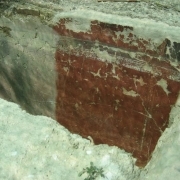 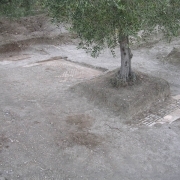 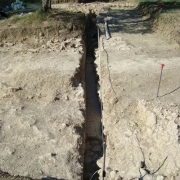 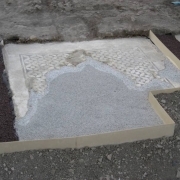 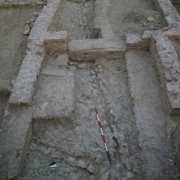 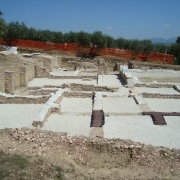 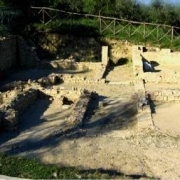 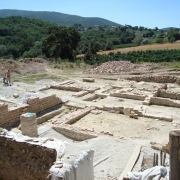 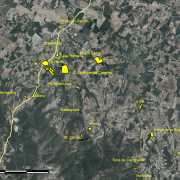 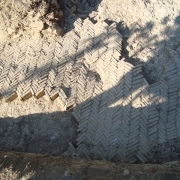 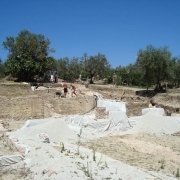 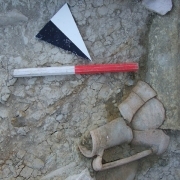 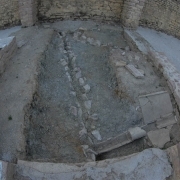 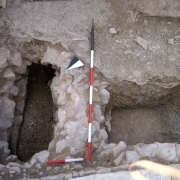 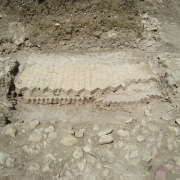 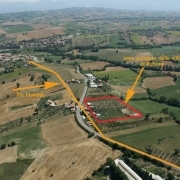 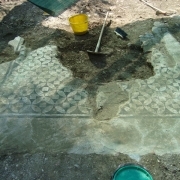 The site was already known in 1925 thanks to the chance discovery of a dolio pottery and a stone travertine, while the excavation works have been carried out since 2003 by the Kronos Cooperative Spoleto for initiative of the Municipality of Giano dell ‘ Umbria under the direction of the Soprintendenza per I Beni Archeologici dell’ Umbria and the important foreign collaboration with the University of Alicante and Almeria. 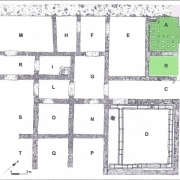 It is a large structure whose extension is calculated in full on an area of about 7000 square meters, it consists of several pavilions, of which the principal could have its own entrance near the consular road. 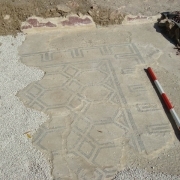 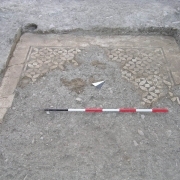 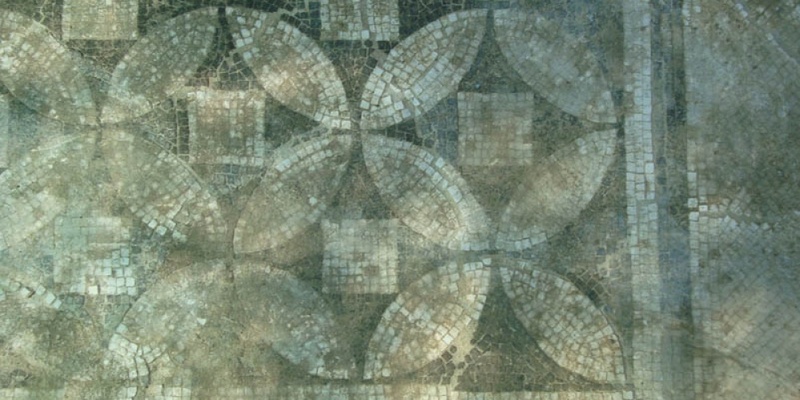 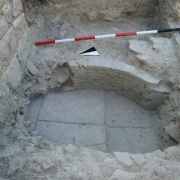 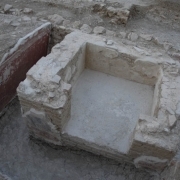 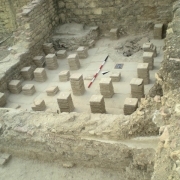 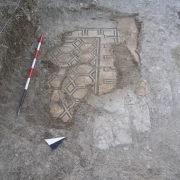 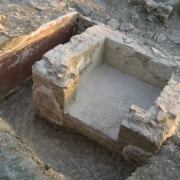 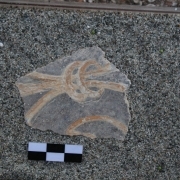 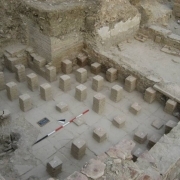 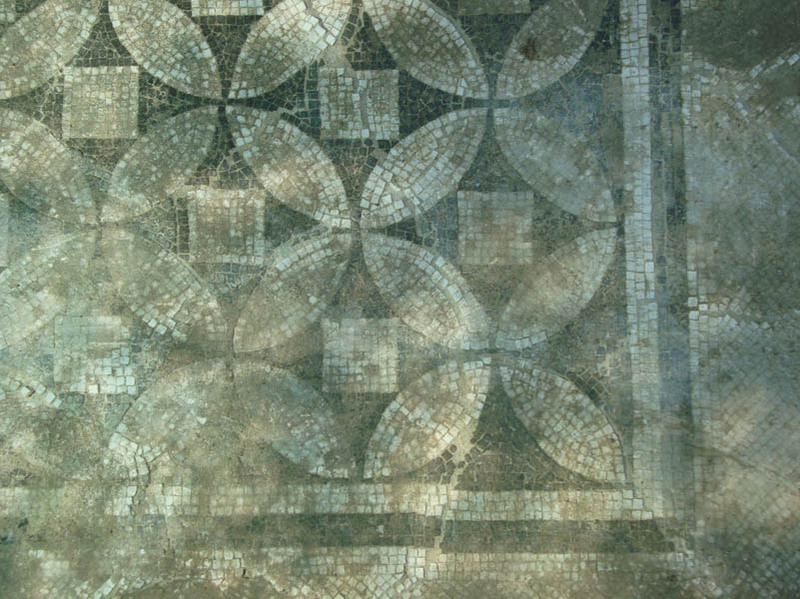 The archaeological survey conducted to date has highlighted 18 areas, two of which were identified as thermal rooms (calidarium and tepidarium), with the discovery of the tubules to the hot air passage and a mosaic portion and white tiles black of fine workmanship. 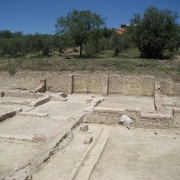 The walls are made with great skill, in local pink limestone and the villa had a rich wall decorations with marble imported from all over the Mediterranean basin and frescoes of highly refined workmanship with frames decorated molded and painted stucco. 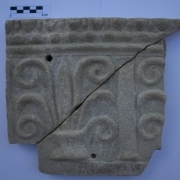 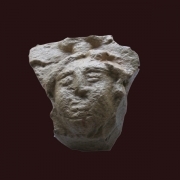 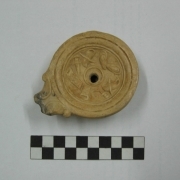 The excavation has also returned clay slabs lining with decorative motifs that recall the production to the capital or to the bell. 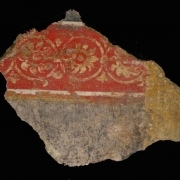 The extreme refinement of the frescoes and coatings give the idea of a rich client. 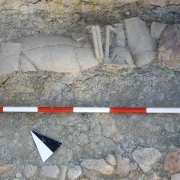 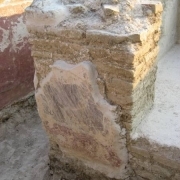 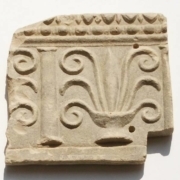 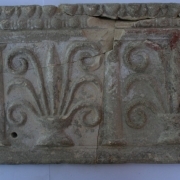 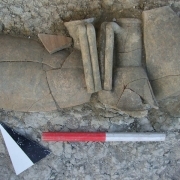 The archaeological material that was found belongs mostly to the first century A.D. while the plaster can be assimilated to the III and IV and the Pompeian style. 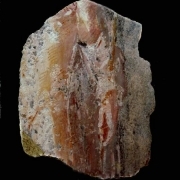 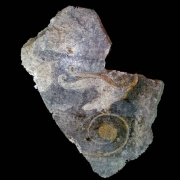 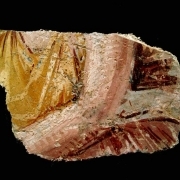 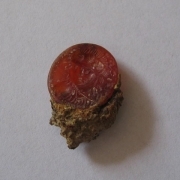 The precious finds from the Roman villa of Rufione are collected in the Museo Archeologico Antiquarium at Montecchio and were crucial to study the daily life inside the villa: fragments of polychrome frescoes and stucco, glass balsam, nails and iron artefacts , coins, but also furnishings and terracotta amphorae.